There's no end to debates and discussions when it comes to choosing a tool for faster application development. With each platform having its own benefits and drawbacks, it's difficult to term a single tool as "best" in the app development space. 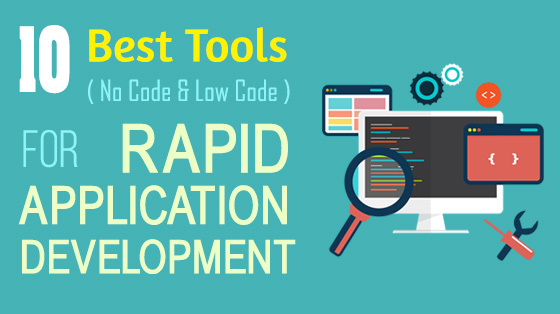 So, here is a list of 10 low-code or no-code application development tools that will get your project up and running quickly. It's a web-based, no-code application builder used for targeting iOS and Android applications. Built for designers, it utilizes a Photoshop-like user interface (UI) which assembles screens from visual assets through layers. But on the back-end, it works as a cloud-based service and platform. 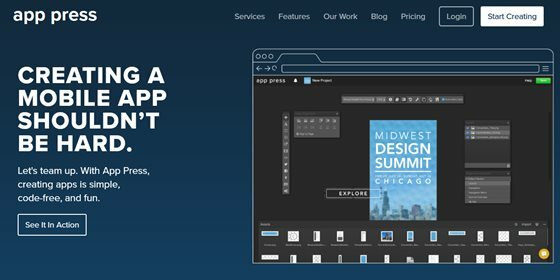 Amateur designers can use App Press to create a basic app in less than a day, more experienced designers can easily create five apps per day. 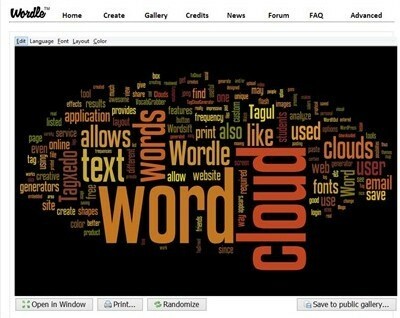 It is an online application creator and platform for web and mobile web database applications. QuickBase has limited integration support outside its own database. It offers over 800 customizable application templates and a Complete Project Manager to manage multiple projects and tasks from a central location. It even allows users to build an application from scratch by starting with a data design. Apart from that, all QuickBase websites are responsive which makes it easier to access it on mobile devices. 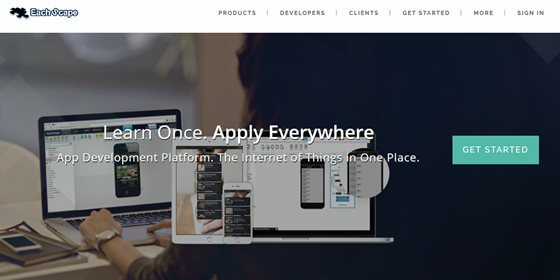 QuickBase is even said to have a Web Apps with a responsive design that will work better across various devices including mobiles, desktops, and tablets. Acquired by Microsoft in February 2016, Xamarin is a tool for developing cross-platform mobile applications. It uses C# to create native applications that work on platforms like Android, iOS and Windows Phone. A Xamarin developer can use the existing skills to reuse C# codebase and produce multi-platform apps. 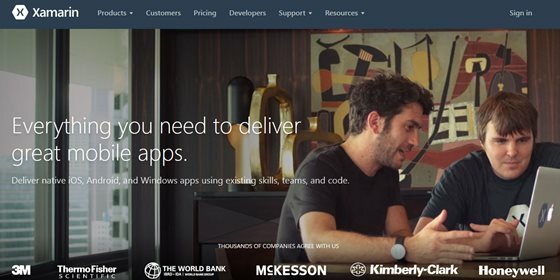 Additionally, it offers various services like Xamarin.Forms for delivering native performance using native UI components, Xamarin Test Cloud for automated application testing, and Xamarin Insights to get real-time data about active sessions, users and valuable metrics of your app through an interactive dashboard. Like Xamarin, Appcelerator is another platform enterprises can leverage to build multi-OS applications. 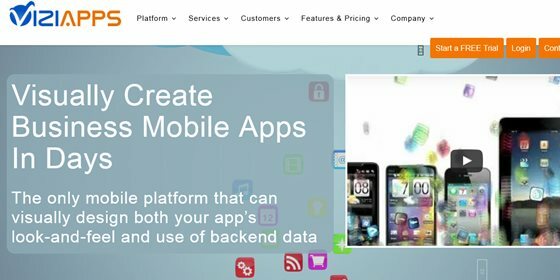 It provides integrated cloud services combined with a comprehensive library of application extensions, SDK, IDE and multiple frameworks for enterprise-level app development. 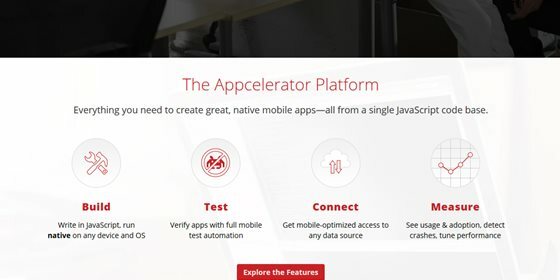 Developers can utilize their existing web-based skill sets to develop native, cross-platform and mobile web apps using Titanium Appcelerator SDK. A no-code application building tool for enterprises who want to create something unique without requiring a developer's expertise. 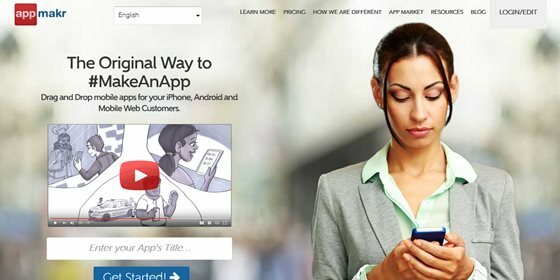 AppMakr enables you to aggregate your content or service to build native iOS and Android applications along with an HTML5 mobile website. As it's a code-free platform, you cannot expect a good app out of it. Also, be prepared to go back to AppMakr for making additional changes. 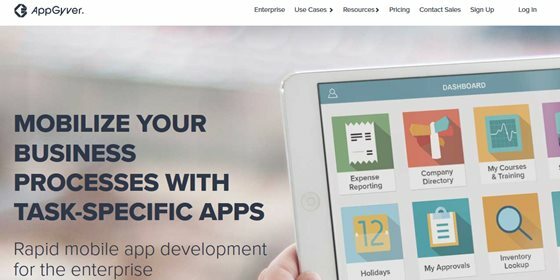 Based on Supersonic UI framework, AppGyver Composer 2 is a web-based app builder and hosting provider for hybrid applications. It provides native UI elements such as models, navigation bars, page transitions, tab bars, drawers, and more to create a native experience in a hybrid app. You can build apps from scratch by using AppGyver's half-a-dozen templates, modules, and components. If needed, you can also create custom modules. Further, you can deploy your app on AppGyver cloud once it is ready to be published. 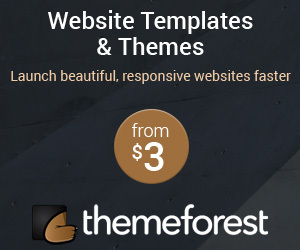 It's a web builder providing customizable templates to create iPhone, iPad and Android applications in just five minutes. It is an ideal tool especially for small businesses who needs an app quickly but not as a vital tool. iBuildApp can be used for creating common application types with template based systems and limited functionality. It's a database-oriented platform for faster applications development. It lets you build web and hybrid apps that can work offline. It provides strong SQL database support which allows developers to use native SQL dialects of each database or leverage its Portable SQL facility which produces appropriate native SQL for the current database connection. It further helps in speeding up the development of data conflict resolution logic in a few clicks. 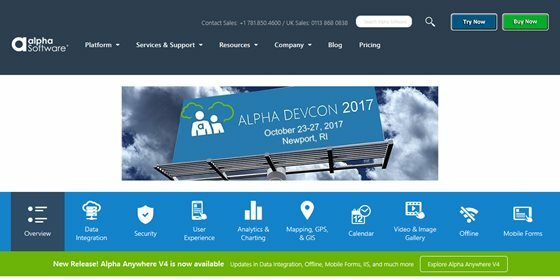 Alpha Anywhere recently enabled mobile file system access in hybrid applications for huge amounts of data (in gigabytes) with compression. This not only benefits viewing cached media offline but also helps in creating numerous photos, video, and audio files even when there's no connectivity. This is an easy-to-use, drag-and-drop editor for developing native Android and iOS apps as well as HTML5 web apps. It is unified and cloud-based. It comes with mobile back-end services for applications built on its platform, web preview for all app types, and an online build service. The architecture of EachScape is based on blocks and modules, as well as layouts and actions. 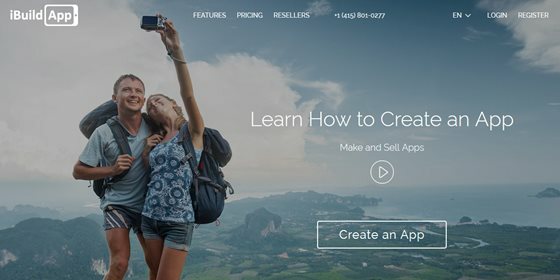 The platform has implemented a set of classes in Java for Android, Objective-C for iOS, and CoffeeScript for Web apps which corresponds with buttons, ads, controls, containers, data input, data connectors, HTML, images, media, maps, placeholders, navigation, social networks, RESTful remote queries, and text. It even enables developers to extend its capabilities by building custom blocks and modules with its SDKs. 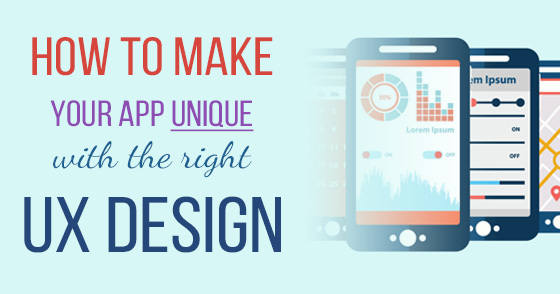 This app development tool integrates an online visual designer with a number of customizable sample applications via code generation to build both mobile web and native mobile apps. There's no shortage of rapid application developments tools in the marketplace. 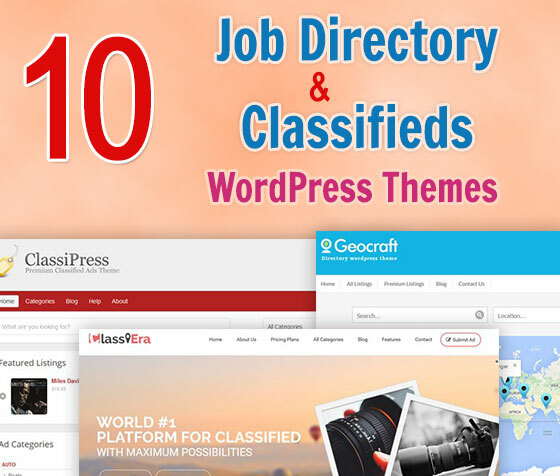 However, you must evaluate the features, functionality, integration, and support offered by the above-mentioned tools and choose the one that fits your needs. Let us know in the comments below, if we have missed listing any of your favorite application development tools. Kaushal Shah manages Digital Marketing Communications for the Enterprise Technology Services provided by Rishabh Software. She writes about various technologies for mobile, web and software development including Microsoft, Java, Xamarin and more. Besides tips & tricks, she closely works with developers to understand their real problems and share the best solutions with the world.